Park Forest, IL-(ENEWSPF)- A high-speed chase on Sauk Trail ended with the arrest of a Blue Island man after he allegedly drove over 90 MPH on Sauk Trail, according to police. The early-morning chase began on Sunday, December 16, and lasted just over a mile. The speeds at which the driver was allegedly traveling luckily resulted in no collision, perhaps only because of the time of day. Jose L. Garcia, 31, 12730 Winchester Ave., Blue Island, was arrested on December 16 and charged with aggravated speeding, felony driving while license was revoked, disobeying a red traffic control signal, improper lane usage, illegal transportation of open alcohol container, and violation of an order of protection. At 6:29 AM, an officer observed a silver 2009 Chevrolet HHR make a right turn westbound onto Sauk Trail from Western Avenue allegedly at a high rate of speed, according to police. The posted speed limit on Sauk Trail is 35 miles per hour. The officer was attempting to catch up with the Chevrolet and saw that he was traveling 73 miles per hour. 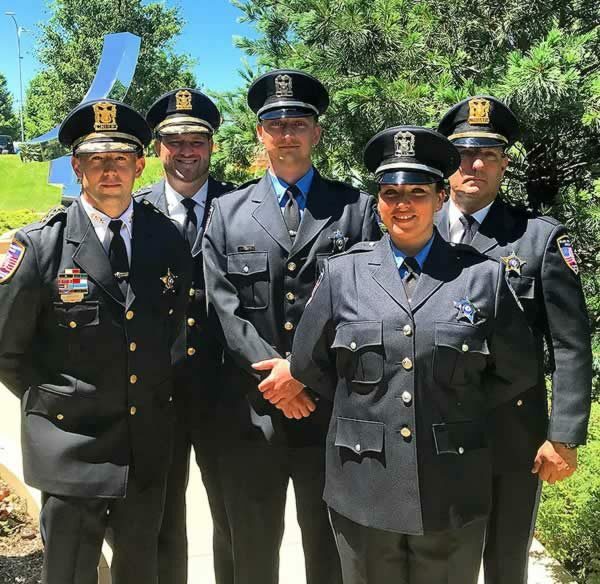 When the officer reached Sauk Trail at Sauk Court, the Chevrolet was approximately 600 feet ahead of the officer’s squad and the officer was traveling at 88 miles per hour. When the Chevrolet reached Indianwood Boulevard, the officer saw that the Chevrolet was approximately 750 feet ahead of him. At this point, the officer was traveling at 92 miles per hour still attempting to catch up with the Chevrolet. he officer enabled his emergency siren as he passed St. Anne Catholic Cemetery. The officer was traveling over 80 miles per hour on Sauk Trail up to Blackhawk Drive where the Chevrolet finally stopped at a red traffic light signal, according to police. Once the signal turned green, the Chevrolet made a left turn South onto Blackhawk Drive allegedly going southbound in the northbound lanes on Blackhawk Drive, according to police. The Chevrolet then made a left turn into the Marathon Gas Station at 385 Sauk Trail and came to a complete stop, according to police. It was 6:32 AM, according to the report. The total distance that the officer followed the Chevrolet when it was in his sight was 1.31 miles, the officer determined from Google maps. Across this distance, the officer reports that he did not gain any significant distance on the Chevrolet until it was stopped at Blackhawk Drive. After coming to a complete stop, the driver of the Chevrolet, later identified as José Garcia, stepped out of the vehicle while stumbling and put his hands behind his back, according to police. The officer ordered Mr. Garcia to get back inside his vehicle. Another officer responded to the scene to assist and Mr. Garcia was placed in handcuffs. A passenger in the vehicle told police that she and Mr. Garcia were going home to Richton Park from Chicago Heights, according to police. The passenger said that Mr. Garcia “had a little to drink,” when asked by the first officer. After having SouthCom Dispatch conduct a LEADS inquiry, police determined that Mr. Garcia’s driver’s license was revoked and that the passenger had a valid order of protection against him. 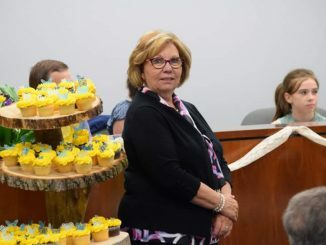 The order of protection was served on July 16, 2018, and was not set to expire until September 5, 2019, according to police. Police impounded the Chevrolet per village ordinance. While conducting an inventory of the vehicle, police discovered an empty bottle of Jameson Irish Whiskey and one bottle of Hennessy Cognac with a broken seal. Both bottles were on the front passenger floor of the Chevrolet, according to police. 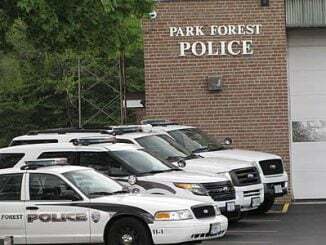 Police transported Mr. Garcia to the Park Forest Police Department where he refused to perform Standardized Field Sobriety Tests. He was placed into a holding cell. An officer read him his Miranda rights which police say he understood and “knowingly and intelligently waived,” according to police. At this point, Mr. Garcia told police that he knew that his driver’s license was revoked and had court dates coming up from an earlier time when he was arrested for driving, according to police. The officer reviewed Mr. Garcia’s driver’s license abstract report and learned that Mr. Garcia has five prior convictions for driving with a revoked or suspended driver’s license, according to police. The officer contacted the Cook County Felony Review Unit and requested a felony revoked charge for Mr. Garcia. The assistant states attorney approved the felony revoked charge, according to the report. Mr. Garcia was placed back into a holding cell pending transfer to the Markham Courthouse for a bond hearing, according to police.